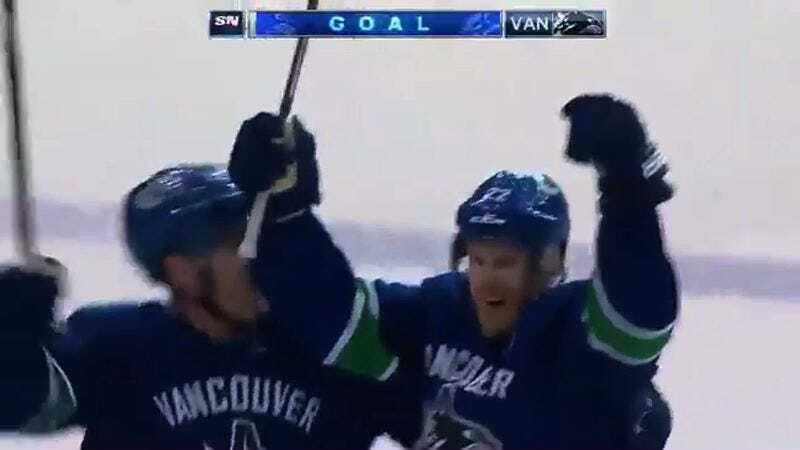 If the Sedins’ careers had to end with a meaningless game in April, it’s absolutely perfect that they ended like this. Daniel and Henrik Sedin led the Canucks to victory in their final game on Vancouver ice before retirement, with Daniel scoring both a second-period goal and the overtime winner off Henrik assists. The Sedins only just announced their impending retirement on Monday, so fans haven’t gotten much of a chance to send them off. But this is all you need.